The winning poems and�commendations in all the 2016 Hippocrates Awards will appear in the annual Hippocrates Prize Anthology, to be published at the end of the Awards event on 15th April. 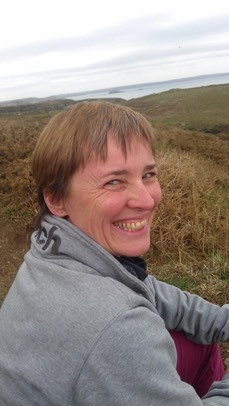 Catherine Ayres�is a teacher who lives and works in Northumberland.�She has a pamphlet published by Black Light Engine Room and a collection –�Amazon�– to be published by Indigo Dreams Publishing next year. The collection is about her experience of breast cancer and its aftermath. About her inspiration for the poem Choosing a breast she said: "This poem is about the surreal experience of choosing your first breast after a mastectomy, something I was not prepared for and which was both hilarious and immensely sad." 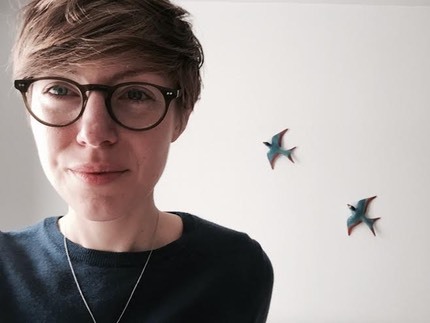 Cate Bailey�is an Academic Clinical Fellow in Old Age Psychiatry and trainee psychiatrist in East London by day (and often night). At present most of her writing is restricted to systematic reviews, posters and discharge summaries though occasionally she scrawls illegible ramblings on post-it notes and in margins, whilst commuting (if she gets a seat). 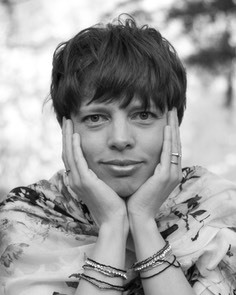 She has previously won the Mslexia short story competition (2011) and was commended in the Hippocrates Awards in 2015. Her poetry has been published in Popshot, the Lightship Anthology and the British Journal of Psychiatry. She said: "In this illuminated midnight reflects upon the experience of managing deliberate self-harm in patients who may have experienced past traumas. It attempts to capture the clinician’s desire to maintain hope and avoid iatrogenic harm in what sometimes seems to be an inescapable cycle." Megan Baxter has spent the past decade working at an organic farm in Vermont, USA. She is a graduate of Interlochen Arts Academy and Goddard College.� She recently moved to South Carolina where spends her days writing and coaching CrossFit. She has a beloved mutt named Rosalita Springsteen. She is also learning how to bake bread, cakes and cookies. 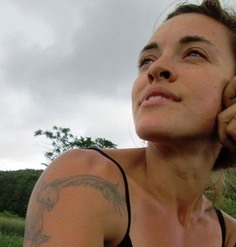 She is currently a graduate student at Vermont College of Fine Arts with a focus on Creative Nonfiction. She said: "The initial image for the poem Taking Heart was the cloud of blood swirling in the chambers of a child’s failing heart, as I performed a cardiac scan. I usually write from the point of view of the doctor but, in this poem, it was the parent’s voice which insisted on being heard." "Open Heart Surgery came from a memory of the times I spent in theatre watching my surgical colleagues as they repaired baby hearts and the wonder I felt when, after the operation, the heart began to beat spontaneously." 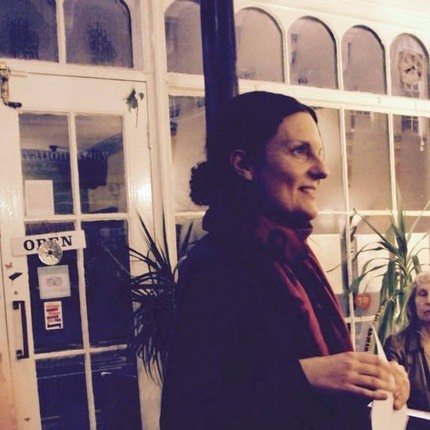 Angela T. Carr�is an award-winning writer and poet, based in Dublin. 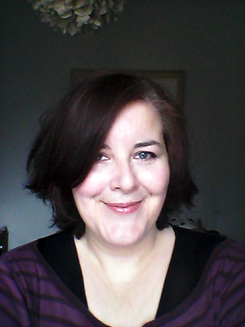 Her work is published in�literary journals in Ireland and the UK, including Mslexia, Abridged and Bare Fiction. 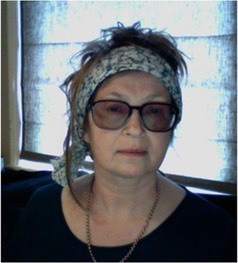 Her debut�collection, How to Lose Your Home & Save Your Life, won the Cork Literary Review Poetry�Manuscript Competition 2013, and was published by Bradshaw Books. 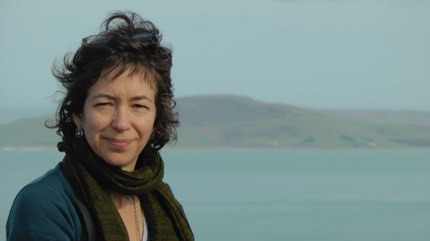 In 2014, she was selected�for the Poetry Ireland Introductions series and won the Allingham Poetry Prize. Her poetry has�been broadcast on national radio and nominated for a Pushcart Prize. 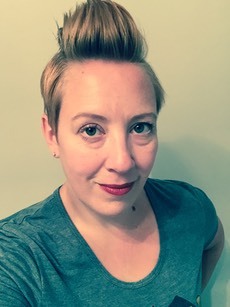 She is currently Poetry�Editor at Headstuff.org. More at www.adreamingskin.com. About her poem she said: "I wrote The Wish-Giver's Testament after reading about the work of Kees Veldboer, and his Dutch�charity, Stichting Ambulance Wens (Ambulance Wish Foundation). Formerly an ambulance driver,�he accidentally stumbled on the last wish idea when transporting a patient. There was a delay, the�hospital bed wasn't ready and he asked the patient where he'd like to go. Veldboer saw the�powerful transformation and sense of peace that came from their unscheduled outing, and set�about granting last wishes for other terminal patients. 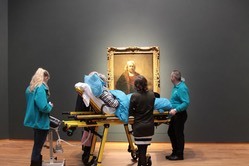 His work gained international attention�recently, when a photograph of a woman visiting her favourite Rembrandt went viral in 2015. I�was deeply moved both by his work and the stories of the individuals, what they yearned for at the�end of their lives. "�Link to the article, that prompted the poem, which is also the source for the Rembrandt�photograph below. Monica�Corish�lives in Co Leitrim in Ireland. She trained as a nurse in London in 1989 and worked for many years in the Primary Health Care sector in Sudan, Ethiopia, Sierra Leone and Angola. 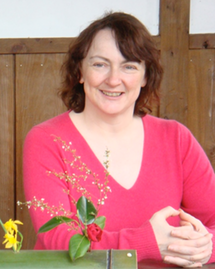 Her poetry has been published widely in literary journals in Ireland and the UK; she has received writing bursaries from the Arts Council, ADAI, and Leitrim Arts Office; her first collection,�Slow Mysteries Doghouse Books, was published by��in 2012; and she is currently working on a second collection, inspired by the experience of nursing her mother when she was dying with cancer. About the inspiration for�Nessun Dorma�she said: "I wanted to describe the traumatic effect on medical staff in today's pressurised hospitals. We owe them a duty of care." 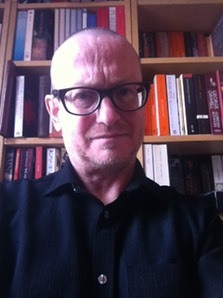 Ken Evans recently gained a Distinction in his poetry Master’s, tutored by John McAuliffe, at Manchester University’s Centre for New Writing in the UK.�Ken’s work was longlisted in the UK�Poetry Society’s National Competition, and highly-commended in theBridport��and shortlisted in�the Troubadour Competition, all in 2015.�Ken’s debut pamphlet collection is out in Autumn this year from Eyewear Press�His draft debut collection was also shortlisted in both Bare Fiction’s awards and in the Poetry School/Nine Arches ‘Primers’ selection at the end of last year. 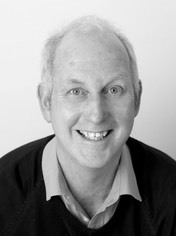 Neil Ferguson is a novelist and short fiction writer who occasionally writes poems. � HIs most recent book was�Taller Today�(Telegram 2013) which is a non-fiction novel about his early years growing up in Paddington and�Notting Hill, London, where he still live. He said: I wrote�The Hospital Porter at 2 am�about my experience of being a hospital porter at the Royal United Hospital in Bath. �I took the title from Sylvia Plath's poem�The Surgeon at 2 am. ��The hospital porter is among the lowest in the hospital hierarchy and I wanted to write about such a person in heroic terms. �The poem has a fairly formal shape and uses rhyme and half-rhyme in order to emphasise the mock heroic dark humour. 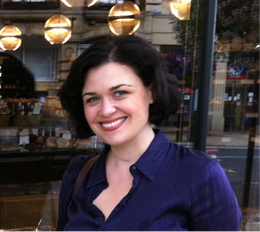 Helen Gibson studied medicine at the University of Manchester and works as a consultant paediatrician in the west of Scotland. She is a recent convert to poetry after taking a creative writing module as part of an Open University Humanities degree in 2014. She said:’”Tentacles is a celebration of doctor patient interaction. It explores the fluid, dynamic and sometimes unexpected nature of communication between two individuals and poses the question ‘Where is the problem here?'" She said: In Memoriam was read at a recent Donor Thanksgiving ceremony at Melbourne University, in which medical students and families came together to honour those who have donated their bodies in order to train students.�To dissect a cadaver is far more than a simple mechanical exercise. It is a relationship - a dance, in which the young student learns not only the hip-hop of anatomy, but also the tango of life and death. That first vision of the rigid reality of mortality stays branded in memory, a chilling reminder of what lies ahead, after what Elaine Kasket in�Death and the Doctor�refers to as our ‘hurry(ing) to get somewhere’. And as young doctors, the constant exposure to the dystopian world of illness and dying can render the body as ‘something not quite human’. �Poetry has the surgical eye that can carve out meaning from despair and understanding from stupor. 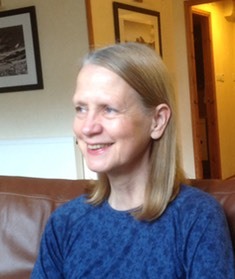 Wendy Orr�lives in Fife and leads the Education Programme for StAnza International Poetry Festival, St Andrews. Recent poems are in Ink, Sweat & Tears, Lighthouse, Gutter, Poetry Salzburg and various anthologies. She is winner of Mother’s Milk Books Poetry Competition 2014; commended in the St Cross Oxford University International Competition 2015 judged by Mimi Khalvati; highly commended in Carers UK Poetry Competition 2015 and most recently been longlisted for the Plough Prize 2015. She said: "Daylight�and�Leaving the Floor�are both poems relating to the last few days in hospital, as my father died. They are two poems from what has become a long (and continuing) sequence of our last moments as a family with him on a ward, in an Ayrshire hospital. Often, they return to single moments, images, visual memories that will stay with me always. The poems seem to gradually close in on our final moments together and so the hospital experience has taken on such a heightened significance in the memory of our relationship, as it may for others who have experienced something similar. "It became apparent that my father’s nurse, one woman in particular, was often present in these moments - not intrusively, but it seemed, significantly. I realised she is there quite powerfully in my consciousness now, as part of an highly personal and important experience in my own life and I feel more and more grateful to her for doing her job with such attentiveness and sensitivity. For me, the process of writing the poems navigated me through grief in such a way that they are now part of my own life and my father’s memory." Athar Pavis said: "I have written poetry from a very young age to express what at the time I felt I needed to keep to myself. I was raised in New York City, in an area then considered the slums of Brooklyn, and left to study at Mount Holyoke College. One of the turning points in my life occurred when I encountered�Proven�al�poetry and when a professor of French gave me Proust’s�Un Amour de Swann�to read. What followed have been years of travel to and from France, teaching positions at the Sorbonne, and training assignments to prepare French diplomats for various negotiations, which I do by creating conflict scenarios." About what inspired her to write�Banzai: "A visit to the famous�Institut Curie�in Paris, things unsaid by the man in the waiting room, and especially imagining what it must have been like for my sister, how she stubbornly kept handling the kitchen detail of living when she must have known she was dying, how she must have longed for one last�banzai�moment of the world’s beauty, but couldn’t bring herself to take it." Martin Pearce�lives in Bristol and studied English at Sunderland Polytechnic. 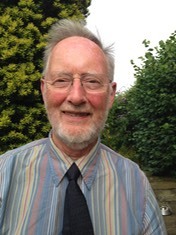 He previously worked for�NHS Blood and Transplant for nearly 30 years.�In 2014, Martin won the Bristol Poetry Institute's�Likenesses�competition, and�was longlisted in the 2015 National Poetry Competition. 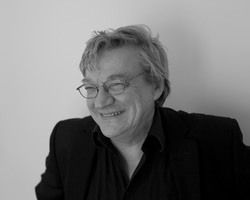 His poetry has appeared in�PN Review�and on�The Guardian�website. 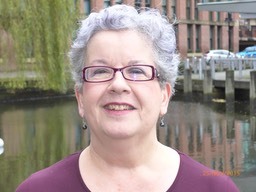 Ruth Quinn is a counsellor and therapist living and working in Lancashire. 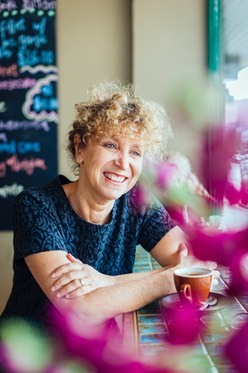 Before retraining she taught drama and theatre for years and has a passion for language, poetry and creative strategies when exploring how to develop our writing. 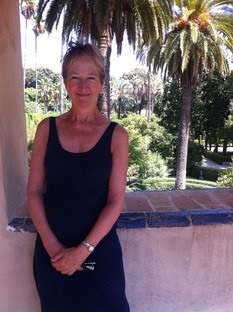 Ruth currently works in private practice and in a hospice where she provides support for people who are dying. She said: "Moon landing grew out of a number of conversations with people envisaging their death as a journey into space. The language we use to describe powerful events can unquestionably change how we feel about them." 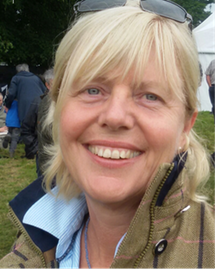 Karen�Schofield�said: "For most of my career I have been a consultant in clinical haematology although I have now retired from the NHS. This gives me time to write poetry and occasionally to supervise medical students who choose a medicine and poetry option at Keele University Medical School.��I am an enthusiastic member of the Stoke Stanza group and ‘Keele Poets at Silverdale Library’ and receive much support from both groups.��My poetry is often informed by my medical experiences and I like to think of unexpected ways to express the emotions of clinical encounters. 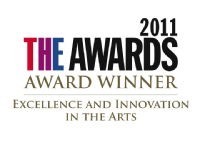 I was awarded a commended place in 2014 for the Hippocrates Prize." She said that her poem�Myeloma Moths�takes a sideways approach to describing the course of a disease that can be difficult to confront directly. Andrea Wershof Schwartz MD MPH is a geriatrician who teaches at�Harvard Medical School and practices at the Veteran's Affairs in�Boston. 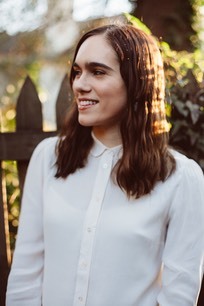 She began writing as a student in Mount Sinai School of�Medicine's Humanities and Medicine program, and placed first�nationally in the William Carlos Williams poetry competition. 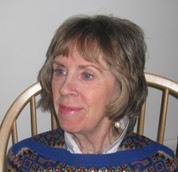 Her work�has been published in Annals of Internal Medicine and Journal of�Medical Humanities. 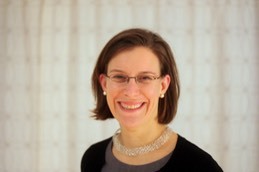 She serves on the steering committee of the Arts &�Humanities Initiative at Harvard Medical School. Andrew Stickland said:�I spent the first half of my working life as a theatre lighting technician, until a back injury forced me to find a new career path. 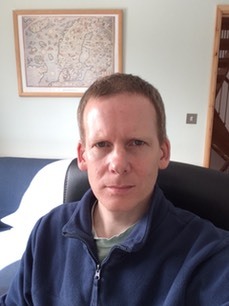 I am now a full-time writer, producing Young Adult science fiction novels, short fiction and poetry whenever my other full-time job as a parent allows me the time.�I have two published collections of poetry: Broken Bottles (Envoi Poets Publications) and The Opposite Page (Seal Books), and really must get round to producing a third sometime soon. 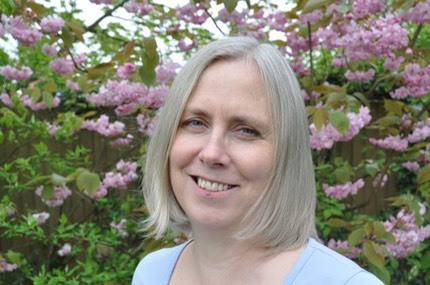 Ellen Storm is a poet and medical doctor who won the Hippocrates Prize in the NHS category in 2014. Her first collection of poetry -�Rupture�- was published by the Hippocrates Press in 2015. You, Five Minutes, Out continues some of the themes explored in the book. Ellen is currently completing an MA in Creative Writing at the University of Lancaster, and lives in Liverpool with her partner and twin daughters. J. C. Todd (photo�by Mark Hillringhouse)�is a Pew Fellow in the Arts, the 2016 Alliance of Artist Residencies Pew Fellow at the Ucross Foundation, and a finalist for the 2015 Poetry Society of America’s Robert Winner Award. She is author of FUBAR, What Space This Body a limited edition artist book created in collaboration with visual artist MaryAnn L. Miller (Lucia Press, 2016) and of (Wind Publications, )2008. 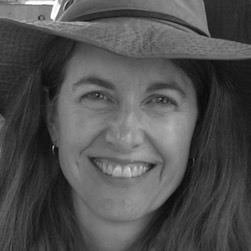 Todd’s poems have appeared in The Paris Review, American Poetry Review and elsewhere. 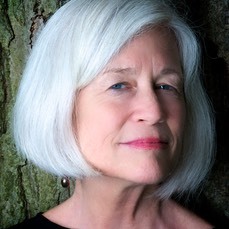 She is a faculty member of the Creative Writing Program at Bryn Mawr College and the MFA Program at Rosemont, near Philadelphia, Pennsylvania. She said: "The Morning After�is an amalgam of situations and details from the blogs of U. S. military personnel stationed in Iraq and Afghanistan during the first decade of this century. 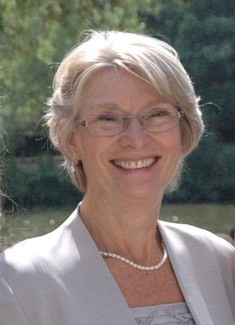 I read the blogs to better understand the experience of my daughter-in-law, Catherine Shoff, a pulmonologist who served as a U. S. Air Force physician in Iraq. This poem is a companion to a sonnet sequence, War Zone, inspired by her work." 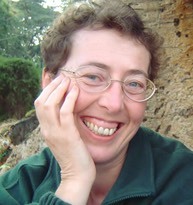 Her poems have appeared in journals such as�Artemis, The Literary Bohemian, MsLexia, the North, Orbis, Obsessed with Pipework�and�The Rialto.�Sheila’s poems have also won, or been the runner up, in competitions such as�the Manchester International Religious Poetry Competition, the Wigtown Poetry Competition, and the British Haiku Competition.